Dwelling Suites offers monthly stays with more space, privacy and housewares than any extended stay hotel. Live like you’re home. Dwelling Suites keeps utilities, furnishings and housewares set up in every suite, so we can get you started at a moment’s notice. We’re ready when you are. Dwelling Suites is an affordable short-term rental option, with straightforward pricing, policies, and inclusions. Get what you expect. Dwelling Suites offers the best value for fully furnished monthly extended stay suite rentals in San Antonio. We are the best choice for short term housing solutions, including vacation rentals, corporate housing, or any other extended stay purpose in San Antonio. Providing the comforts of home away from home for almost 30 years, Dwelling Suites is your temporary housing provider when you need it the most, with Breathing Room Included. Corporate housing is a comfortable and affordable alternative to staying in a hotel when you have to be away from home for an extended stay. Dwelling Suites offers fully furnished apartments that are ready to live in today. All you need is your suitcase. We have a 30-day minimum for all stays, but also offer daily and weekly rates once your 30-day minimum is satisfied. Corporate housing is an excellent solution for almost any temporary housing need. We design our service to cater to people who need an affordable place to stay while they’re between homes, on extended business trips or long vacations, waiting for base housing, completing an internship, or any other situation in which a hotel is simply too costly and an extended stay hotel is too cramped and uncomfortable. By staying with Dwelling Suites, you will be more comfortable than you would be in a hotel, while saving money. There are several options for extended stays, but most require sacrificing something you need to enjoy a temporary housing situation. The chart below shows how Dwelling Suites is your best option for short-term housing, based on Comfort, Convenience and Cost. Dwelling Suites is one of the only providers of exclusively month-to-month, fully furnished temporary housing in San Antonio. Most corporate housing is expensive and extravagant, but Dwelling Suites has been providing short-term housing that balances comfort, convenience and cost for almost 30 years. We call this our “3C Advantage.” Our service is motivated by a genuine desire to supply San Antonio with accessible short-term housing, through affordability, good property selection and a frictionless guest experience. Browse our suites» to see what month-to-month temporary housing in San Antonio looks like when you stay with Dwelling Suites Corporate Housing—Breathing Room Included. Dwelling Suites offers the best value for fully furnished extended stay suite rentals in San Antonio. We are the best choice for short term housing solutions, including vacation rentals, corporate housing, or any other extended stay purpose in San Antonio. Providing the comforts of home away from home for almost 30 years, Dwelling Suites is your temporary housing provider when you need it the most, with Breathing Room Included. Dwelling Suites offers more space, privacy, and housewares» than any extended stay hotel. Live like you’re at home. Dwelling Suites uses an advanced booking system that enables you to find, reserve, and start living in our fully furnished and supplied suites within 24 hours. We’re ready when you are. Most corporate housing is expensive and extravagant, but Dwelling Suites has been providing short-term housing that balances comfort, convenience and cost for almost 30 years. 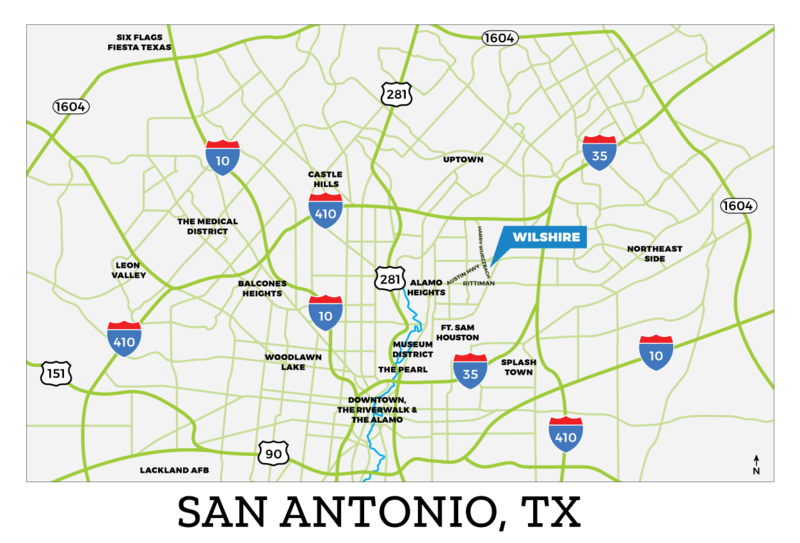 We call this our “3C Advantage.” Our service is motivated by a genuine desire to supply San Antonio with accessible short-term housing, through affordability, good property selection and a frictionless guest experience.